I am sure many would love this flavour, a fragrant Cendol and savoury fine coconut paste gives you a different experience in every bite. This is one perfect for durian lovers! 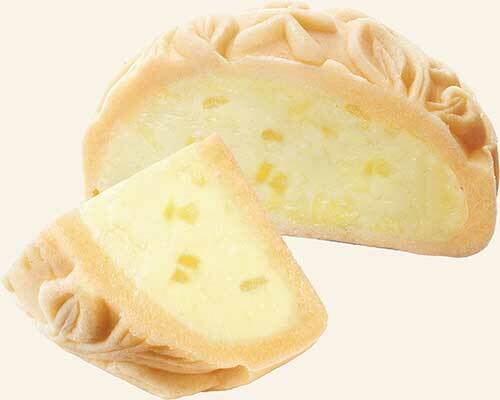 Snow Skin Musang King is one of TAI THONG best sellers and premium limited edition mooncake filled with pure Musang King durian flesh that melts in your mouth. This year special is TAI THONG Premium Box that comes with 4 flavours of mooncakes such as Golden Phoenix, Emerald Custard, Crystal White Lotus Double Yolk and Aged Citrus Red Bean. The Premium box has many functions and features too, it's a bluetooth speakers, jewellery storage and also a tissue box. Golden Phoenix: a medley crunchy nuts and chicken bits, coupled with the citrus tang of dried fruits give the sensational texture and delicious taste. Emerald Custard: a mixture of fragrant cendol paste and creamy custard, it's Malaysian's all-time favourite flavour. Crystal White Lotus Double Yolk: savour the extravagance of double golden egg yolks, encased with fragrant silky lotus paste. Aged Citrus Red Bean: the smooth and delicious red bean paste highlighted by the zesty aged tangerine peel gives a very delectable taste. 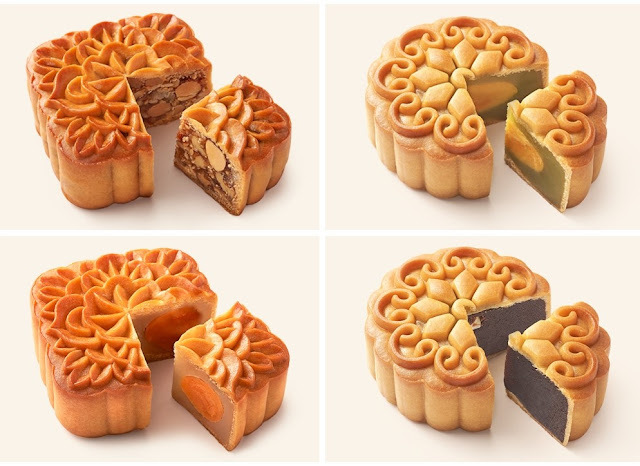 TAI THONG mooncake is no added artificial colouring and flavouring, it’s Certified HALAL by JAKIM and certified HACCP. Kindly take note that all TAI THONG mooncake now available at TAI THONG restaurants, AEON, Tesco, Bens, Aeon Big, Sunshine Wholesale, and also online such as Lazada, Shopee, and 11Street. Besides mooncakes, we also had a scrumptious savouring of TAI THONG's Mid-Autumn Set Menu for 2018. Lets eat! This Hot Plate Barbecue Seafood is the main attraction for TAI THONG’s set menu this year. It comes with fresh seafood such as giant grouper, mud crab, sea prawns, scallops, fresh huai shan, fresh beancurd stick, fresh pine mushroom, fresh abalone cap mushroom, and coriander. As for the soup base, there are 3 types of choices such as spicy chilli, assam and milky and shantou salted vegetables. We had the shantou salted vegetables soup base. I love this soup base as it is so appetizing and hearty with lots of fresh seafood and ingredients all in one. The portion is quite generous for 6 person, because it’s so delicious we finished it all. This Charcoal Roast Suckling Piglet is super crispy, fragrant and addictive. I had a few pieces and don’t mind to have more. The skin is crispy, the fat is thin and when you bite it’s aromatic and flavourful. Savoury and stuffed with lots of ingredients, it taste so good and goes well with the rice. Anything with black truffle will gives an aromatic kick to the dish. Usually when it comes to Chinese set menu, rice is the most unpopular dish. However, this fried rice is surprisingly delicious, fragrant and and has many ingredients in it. I like fish roe added into the fried rice, it make it more tasty and also colorful. Soft and fluffy steamy charcoal bun with mixture of durian and salted egg yolk. It just explode with satisfaction. A soothing dessert after a hearty meal, that's what we need. Overall, TAI THONG Mid Autumn Set Menu is really valued for money. Not only the dishes are delicious with fresh and quality ingredients, the portion is generous, the ambient and services are great plus ech set comes with complimentary mooncakes. This is really worth it! Perfect for family, friend and colleagues Mid-Autumn Reunion Feast.